*NC Sales Tax is charged on the Meals portion only at the time of meal plan purchase. Food Dollars will be taxed as they are used. 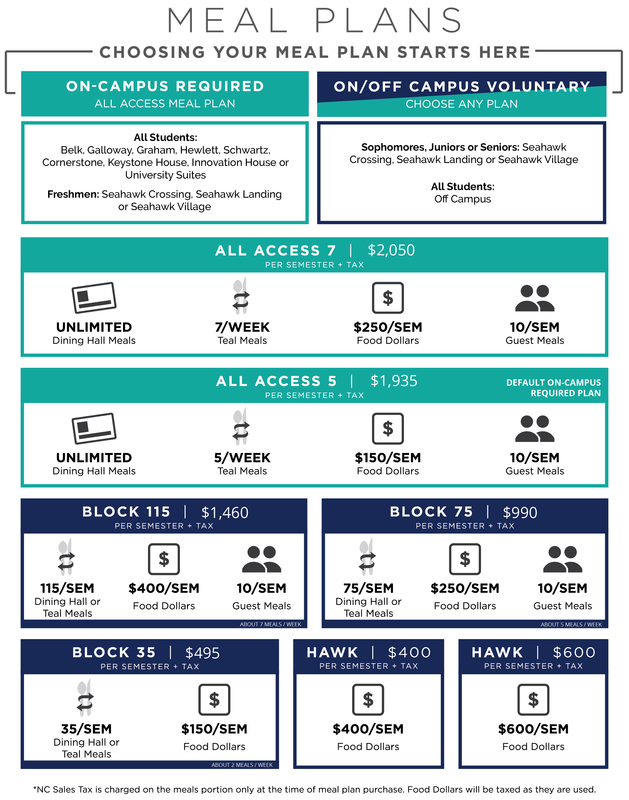 Sophomores, Juniors and Seniors living in Seahawk Landing, Seahawk Village or Seahawk Crossing and students who live off campus are not required to purchase a meal plan, but may select any Meal Plan offered. A meal plan is worth more than you think! You don't have to worry about wasting money on ATM fees or carrying cash. Just swipe your One Card and go! 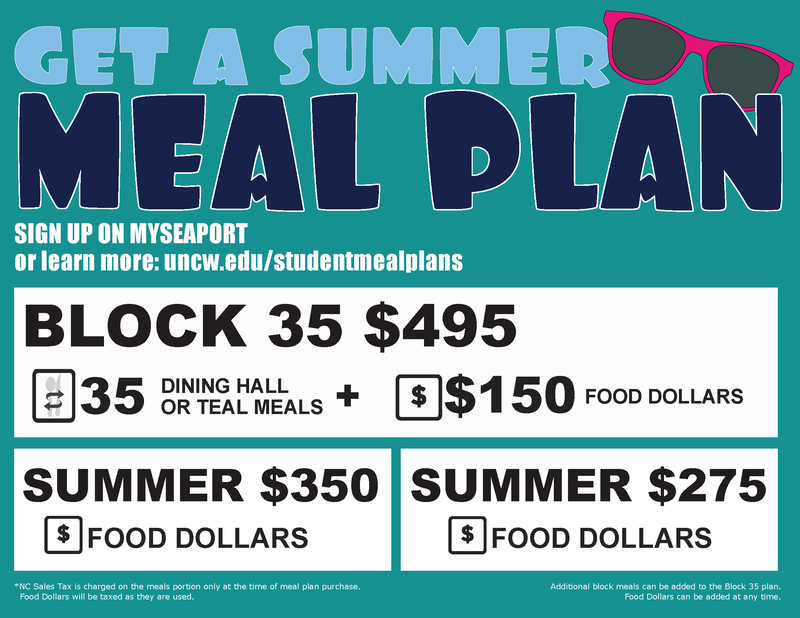 Meal plans offer teal meal options in conveniently located dining locations across campus. If you are registered for class for Summer Session I or II, we have meal plans that can fit your needs! Summer I Meal Plans may be used during both sessions. Summer II Meal Plans may be used during the Summer II session only. All Summer Meal Plans expire at the end of the Summer II session. Summer I meal plans are active for both Summer I and Summer II. Summer II meal plans are active for Summer II session only. See important meal plan dates for more information. On the left under Services, select the Student Meal Plan Application link. In the meal plan application, select the term on the left side and proceed through the application to select your meal plan. The meal plan cost will be placed on the Student Account. If you have any questions, please email mealplans@uncw.edu.